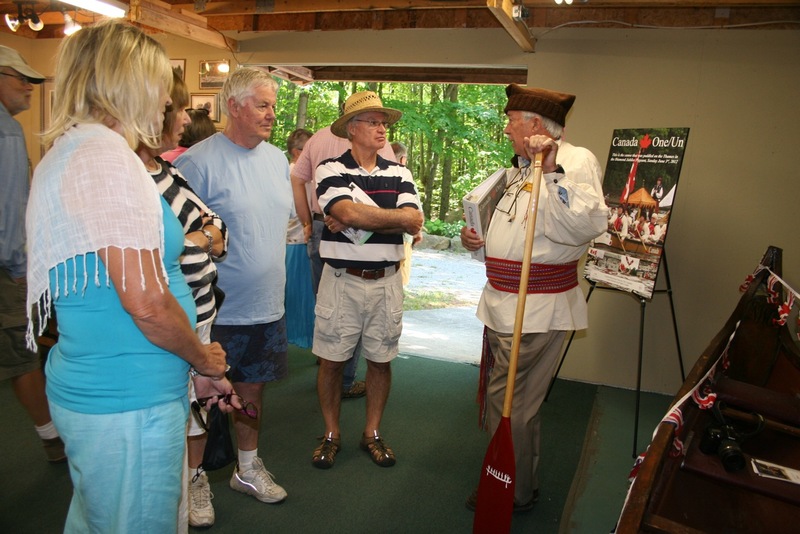 Over the weekend of August 17th to 19th, The Canadian Canoe Museum became connoisseurs and critics of art at the Buckhorn Fine Art Festival. 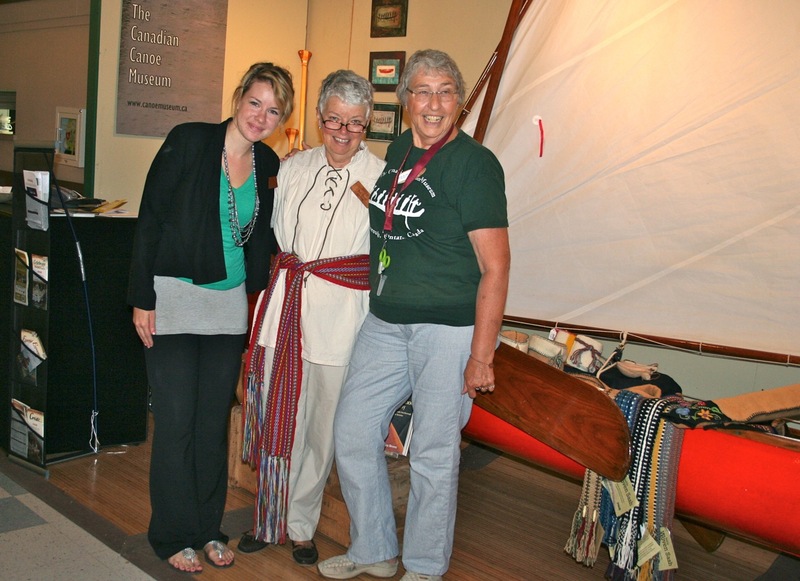 This year, the Festival’s theme was “Canadian Journeys.” Fittingly, The Canadian Canoe Museum was asked to be their beneficiary. 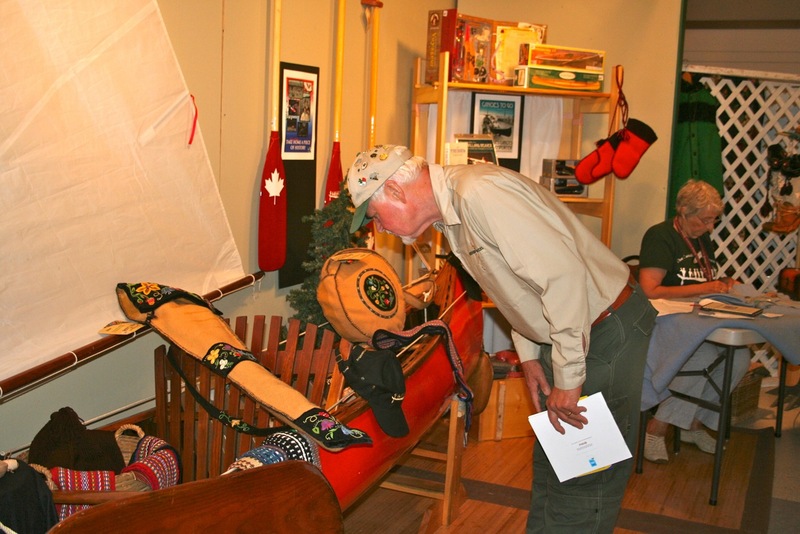 We had a beautiful booth set up, complete with General Manager, John Summer’s orange sailing canoe named “Clementine”! With more than 80 artists displayed, the Festival drew in a large crowd of art-enthusiasts. At our main booth, we sold merchandise and informed passers-by about the Museum. Our great front line volunteers, Gloria, Sue, and Nan, were great representatives, and managed to sell quite a bit of merchandise! To interact even more with visitors, we had artisans working away on their sewing; Ipie and our summer student, Linda, engaged visitors by linking their tangible sewing creations to the history of voyageurs. At our second display, we had Canada One/Un with information on our royal expedition. Decorated with the British flag, as well as information and pictures of Canada One/Un in action, many people took a great interest to it. We even had a Canada One/Un crew member, Terry, there to talk about his adventure! 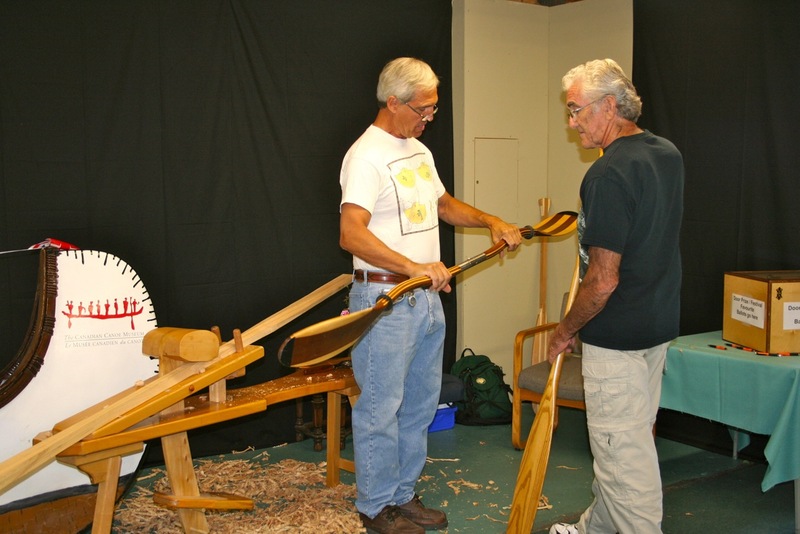 We also had paddle carvers display their talents beside the infamous canoe – thanks Don and Russ! On Friday evening, General Manager, John Summers gave an informative and humorous talk on what the Museum is all about. While people sipped their wine and munched on their hors d’oeuvres, we watched as John showed and explained pictures from our collection. The Buckhorn Fine Arts Festival is such a great event in a unique location. If you couldn’t join us this year, hopefully you’ll be able to make it next year! Thank you to volunteer, Mollie Cartmell for the great pictures she took throughout the weekend.